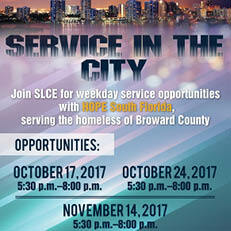 Join SLCE for weekday service opportunities with HOPE South Florida, serving the homeless of Broward County. Transportation will be provided to and from each event. Meet at the NSU Shark Fountain at 5:00 p.m.
To register on OrgSync: go to the Student Leadership and Civic Engagement portal events tab. 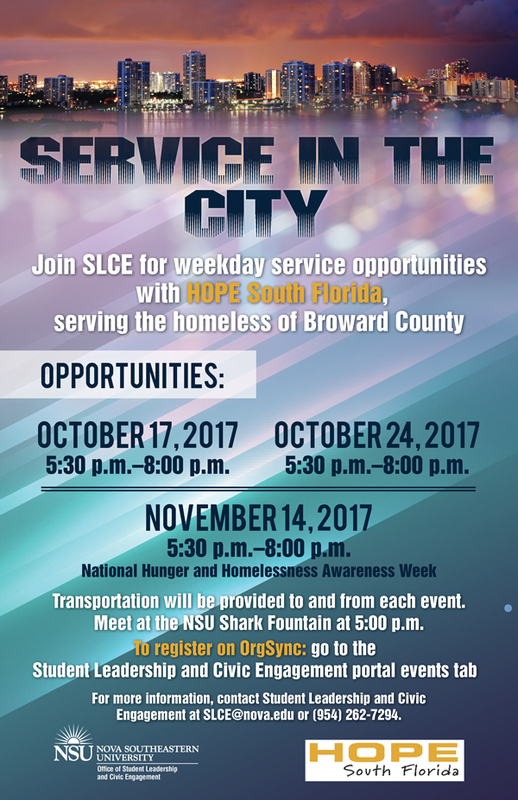 For more information, contact Student Leadership and Civic Engagement at SLCE@nova.edu or (954) 262-7294.